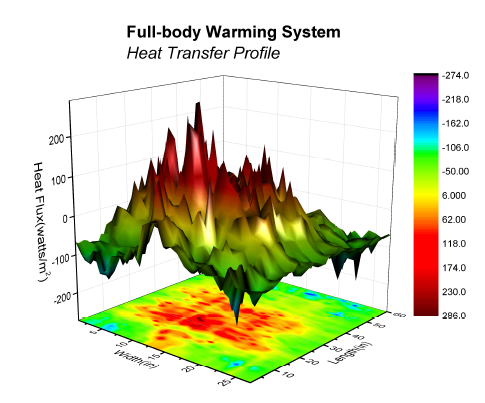 In this presentation, Origin's color map surface graph profiles differences in body heat transfer. The graph is mapped with 32 differently colored bands - each associated with specific Z values on the surface. A full color contour graph is displayed on the bottom plane, emphasizing the trends in the color map surface graph.